Registration Booklet for Conference 2019 is out NOW! This is a community event, designed to welcome all parents, and learn to become an advocate in your community. Here is the newly developed award be presented in 2019! The Ontario Federation of Home and School Associations Inc. wishes to recognize students who demonstrate exceptional qualities in Citizenship. This award is for a student who demonstrates a concern for the betterment of society at school and in the community. This concern should be shown by having a helpful and considerate attitude towards classmates, teachers, and staff and by being involved in extracurricular activities, training programs and/or community service. A helpful and considerate, respectful attitude toward classmates, teachers and other staff. An involvement in extracurricular activities. An involvement in community activities and training programs. In 1967, the Olive E. Glaubitz Awards were introduced. Nine citizenship awards of $50.00 each were presented, to one student in each Home & School area in Ontario. 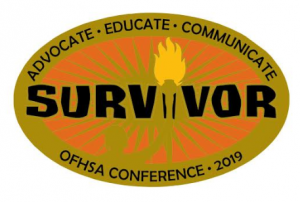 These awards were originally made possible through contributions from associations and councils in memory of Mrs. Glaubitz, a past-president of OFHSA, and they continued for a time through generous donations from her son. The Citizenship Awards were reintroduced in 1981 and continue to be presented. Eight provincial awards of $100.00 each for Grade 5 through Grade 12 are presented annually to students chosen from nominations submitted by school staff, the Home and School association or the student council. These awards are supported by the funds received for Life Memberships presented by Associations and Home & School Councils. This award is presented to an individual who has demonstrated outstanding service to education by fostering co-operation between parents and teachers and by promoting understanding between the home and the school. This award is meant for Home & School members who have made a significant contribution to the Federation at the provincial level. The nominees must be serving or have served a full term on a minimum of two of: Home & School Association executive, Home & School Council executive, a Regional Board executive, or the OFHSA Board of Directors as either an executive or on a Board of Directors committee. The award was named the Col. R.S. McLaughlin Memorial Award to recognize an endowment from the McLaughlin family. Mrs. McLaughlin served the Ontario Federation of Home and School Associations for many years, including as president from 1931 to 1936. This award was introduced in 1989-90 and is presented to an educator who has demonstrated in an exceptional way her or his support for parental involvement in education through the Home & School organizations. Nominations may be submitted by Associations, Home & School Councils, Regional Boards, or the OFHSA Board of Directors. Often Home and School members downplay the importance of the volunteer work they are doing and fail to recognize the skills that they are learning. This portfolio is meant to help individual Home and School members track their activities and earn recognition for their accomplishments. Through the Volunteer Skills Portfolio, members will recognize what they have achieved, appreciate an impressive skill set and use these talents to take on new challenges with confidence. To complete the program, a member must participate in a minimum of 15 activities that combine communication, leadership, advocacy and community involvement. In order to receive the Ada Courtice Certificate of Leadership and Learning, the completed Record of Accomplishments must be submitted to OFHSA’s Awards Workgroup. Specific details are listed in the Volunteer Skills Portfolio. Get started! Return a completed Registration Form to the OFHSA office. Once received, a Volunteer Skills Portfolio will be sent to the member. For an Association wishing to honour an Individual member for outstanding service. This honour is given to a member of OFHSA who has given at least two years outstanding service to the OFHSA Board of Directors. Worn proudly by members to show their support for OFHSA and its beliefs. This pin makes a wonderful thank you gift for members of your association or council or your principal or other supporter. Resources are available below or may be requested by contacting the Ontario Federation of Home and School Associations office. With the assistance of two Parents Reaching Out (PRO) grants from the Ministry of Education OFHSA was able to have documents translated into fourteen languages. The documents: OFHSA Promotional brochure, You Asked about Membership, EQAO Information sheet and OSR Information sheet. The languages: Arabic, French, German, Gujarati, Hindi, Korean, Punjabi, Simplified Chinese, Russian, Somali, Spanish, Tagalog, Urdu and Vietnamese. In addition, the Liability Insurance Coverage brochure was translated into Arabic, French, Korean, Punjabi, Simplified Chinese, Spanish, Urdu and Vietnamese. These documents are available in electronic format and hard copy. Please contact the office. Use pins to show recognition for volunteer Home & School members! OFHSA offers a selection of membership pins and awards to members. Descriptions and pictures are in the Recognizing Outstanding Service brochure. Application forms for H&S Association and H&S Council Life Memberships are available in the “Resources and Forms” section of the For Members page. Purchased by a H&S Council to show appreciation for an individual who has made a significant contribution to the council. This is a non-voting membership, but the individual may receive mailings as directed by the H&S Council. The proceeds from the sale of Home & School Life Memberships and pins support the OFHSA Citizenship Awards program. Presented to a Home & School member who has completed the requirements of the Volunteer Skills Portfolio program. Completed the minimum 15 activities (with at least 3 in each category). Verified by that member’s Association, H&S Council or Regional Board. The program is administered and certificates are issued by the OFHSA Awards Workgroup. Jeweler’s quality, white enameled trillium with an amethyst above. Used to show appreciation for efforts on the OFHSA Board of Directors.